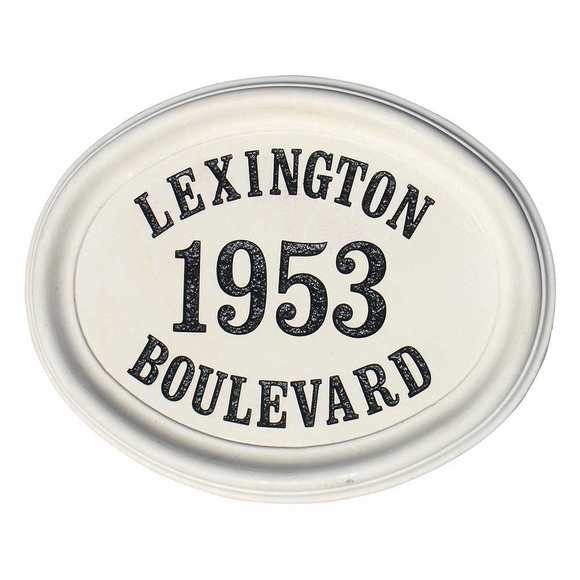 3 Line Concrete Address Block - - personalized oval sign ready for installation into a brick, stone, or concrete wall. Available with three lines of the wording you supply etched into the surface. Line 1 holds up to ten (10) characters. Line 2 holds up to four (4) larger characters, typically the address number. Line 3 holds up to ten (10) characters.